Iguanas and many other exotic animals were showcased at Repitcon’s Reptile Day. Community members were hands on with the exotic animals on display at Repticon’s Reptile Day. 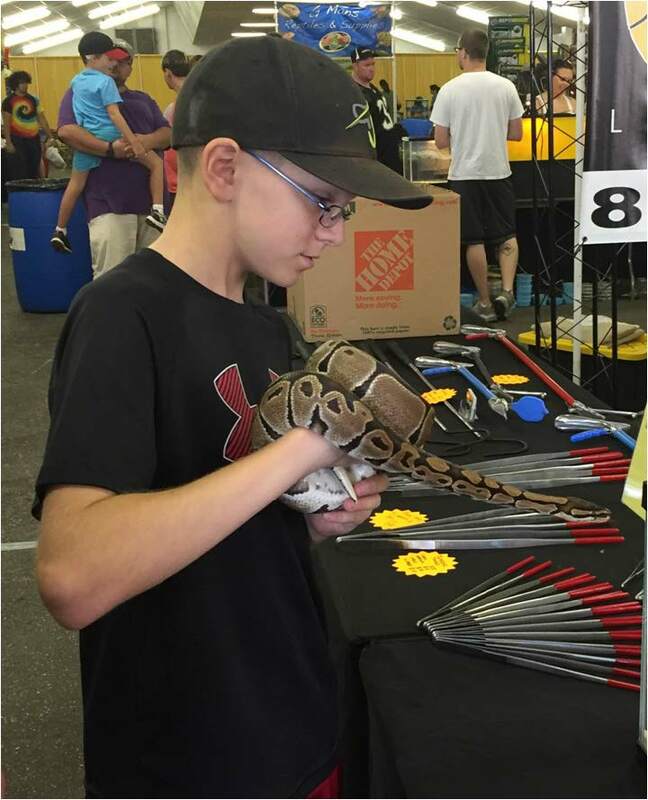 It was a slithering setting on Sept. 19 as Repticon held its annual Reptile and Exotic Animal Show, better known as “ReptiDay,” at the North Florida Fairgrounds. “Repticon is a reptile and exotic animal convention where guests can see and learn about live reptiles and exotic animals from around the world and they can purchase exotic pets and pet supplies,” says Naydine Espinosa, vendor coordinator for Repticon. Families, reptile and exotic animal lovers alike came to see what Repticon was all about. Many different breeds of snakes, lizards, turtles, spiders and many more were on display for the community to enjoy. Tallahassee resident Joshua Linker talks about how he and his kids love exotic animals and how ReptiDay was a lot of family-fun. “My kids love animals and they love reptiles. So, it was fun for them because they could get hands-on and touch them,” says Linker. The convention gave community members the opportunity to become more familiar and better educated with different exotic animals through vendors who came with their many exotic pets and pet supplies. “We’re trying to bring people out to learn more about reptiles so that we can take away the stigmas and fears that people have towards them,” says Espinosa. 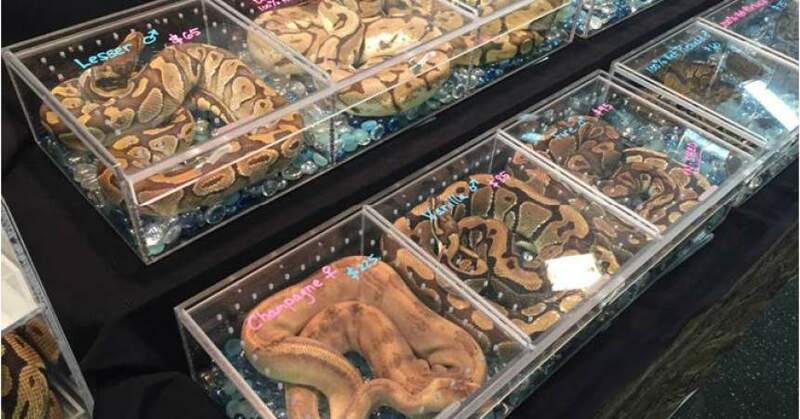 As the day progressed, the Repticon convention hosted live animal seminars on some of these slithering and crawling creatures and had free raffles for coveted prizes. Reptiday vendors offered varieties of feeders, supplies and cages for the animals, as well as artwork and other merchandise all-encompassing the essence of this special event. Local herpetologist, better known as a snake breeder, Susan Sentman and her husband Michael were in attendance as their family business “SSNAKES” exhibited their many different breeds of bald python snakes. Susan Sentman said that she has always had a love for animals since she was a kid, and then early in her career she worked with a snake institute where she learned all she knows today about these reptiles. “It was very interesting to me. I had never been introduced to those species of animals,” Sentman says. She goes on to talk about how she learned to clean them, breed them and how it eventually became a hobby later turning into a business, which has been in existence for over 20 years now. Being that Sentman has been in the snake business for quite some time now, she has enjoyed selling her exotic animals, traveling to various trade shows and meeting new and familiar people who share the same love for snakes that she possesses. “We get to reconnect and we get to talk about snakes,” she said. Sentman, who used to work as a social worker, used to jokingly tell herself that the conventions were the only times she had the opportunity to talk to people like her who also enjoy snakes. “It used to be the only times where I could talk to people who didn’t think I was nuts,” she adds. 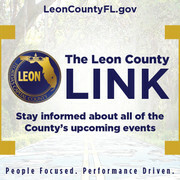 Repticon’s reptile and exotic animal shows are popular all over the state of Florida and they host shows in over half of the states in the country. “Reptiday is exciting, educational, family-oriented fun for everyone,” says Espinosa. Mangum’s Message: No Time Like Now!